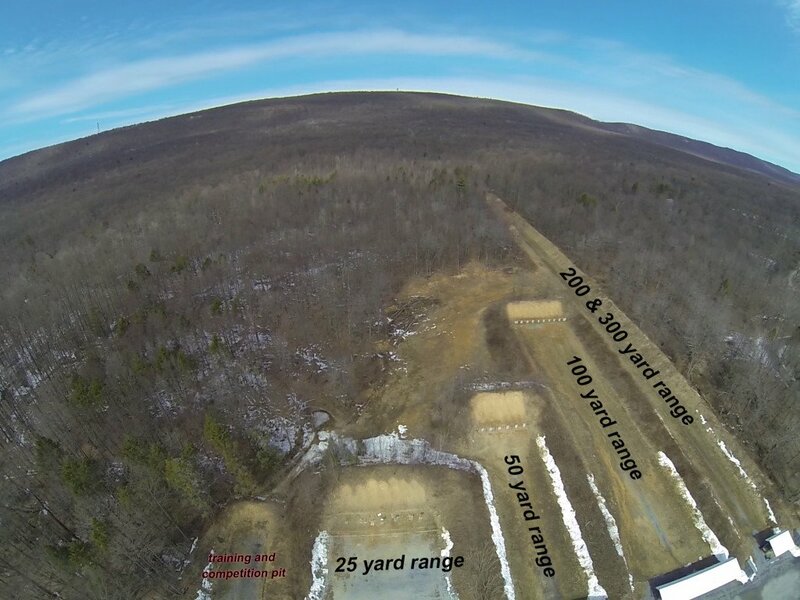 The north facing training and competition pit (to the left of the 25 yard range) is able to be used by members if you have a portable target stand or legitimate steel targets. Target stands may also be used on the 25 yard range but you must be sure that your rounds are going into the berm. If you hang your target too high on a portable stand and place it mid-range then shoot from the bench there is a danger that the rounds will go over the berm. This is a safety violation and you will be expelled from the club.